If you are reading this article, you are already aware of the fact that duplicate files are good for nothing. Therefore, identical songs, photos, and documents should not be on your drive. But they are there. What now? Let me float an idea by you: download and install a professional duplicate cleaner. The software market is brimming with free, feature-packed cleaning apps for Mac, which makes it almost impossible to choose the best one. If your dissatisfaction with (or even outrage against) duplicate files has reached a critical point and you want to equip your MacBook Pro with a powerful cleaning app, keep reading to make an informed choice. The article reviews an automatic cleaning tool Duplicate Detective by FIPLAB the full version of which makes the process of duplicate removal a breeze. 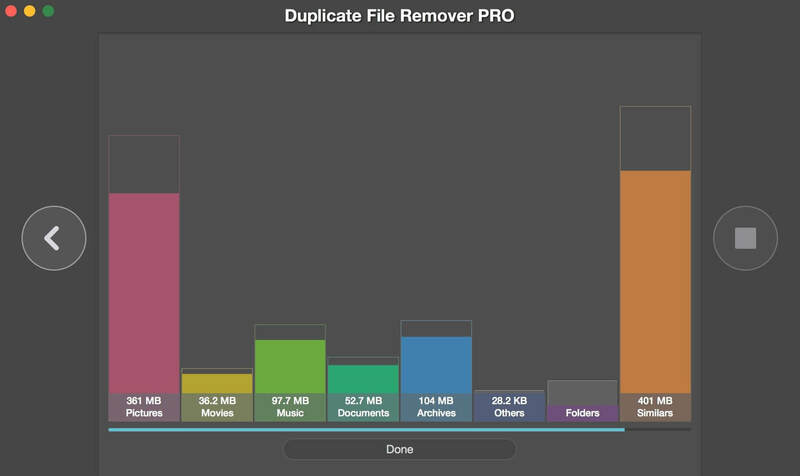 The piece compares the instrument with another cleaning utility – Duplicate File Remover Pro by Nektony, which in Mac App Store is also known as Duplicates Expert. The comparison involves the key dimensions of the apps performance and usability; therefore, it will be helpful for those Mac OS X users who know what is an automatic cleaning tool and those who don’t. So, without further ado, let’s get down to the business. A list at the bottom right corner of the app’s window provides cleanup hints. Perform the previous three steps for all file categories. Confirm the intention to delete the files in a window that opens. FIPLAB Duplicate Detective vs. 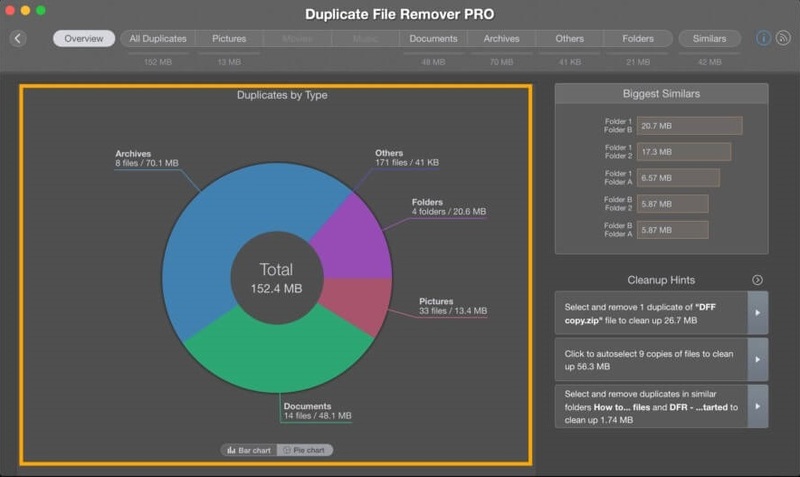 Duplicate File Remover Pro: Which One is Better? Across all dimensions of performance, both apps fare comparatively well. However, that is not to say they are no different from one another. When comparing the latest version of Duplicate File Remover Pro (5.3) to the latest version of FIPLAB Duplicate Detective (1.99), it is immediately clear that the number of features available to their users strikingly differs. 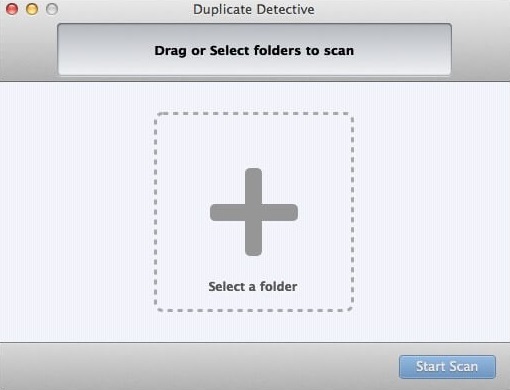 Duplicate Detective by FIPLAB is a bare-bones utility that does one thing and one thing only. It sniffs out identical files scattered across remote locations of your system and presents them to users in the form of a neatly organized list. However, unlike its counterpart, the app doesn’t provide its users with a visual aid. Namely, it doesn’t have bar charts and pie charts that help to quickly interpret the scan results. When it comes to the scanning speed, Duplicate File Remover Pro, performs much better than Duplicate Detective. Additionally, it puts less strain on CPU resources of a computer, which makes it a great choice for owners of older Mac models. Another important distinction between the two apps is the Auto Select function, which is conspicuously missing in Duplicate Detective by FIPLAB. Speaking of the lack of useful functions, both utilities are incapable of saving scan sessions. The mentioned differences aside, the scanning precision of Duplicate File Remover Pro matches that of Duplicate Detective. In the end, it’s the only thing that matters. If you are willing to pay more for intuitive interface, polished design, and speed, you should opt for Duplicate File Remover Pro, which costs $9.99. If, on the other hand, you are looking for a reliable app and want to save a few bucks, you should purchase Duplicate Detective for as little as $4.99. 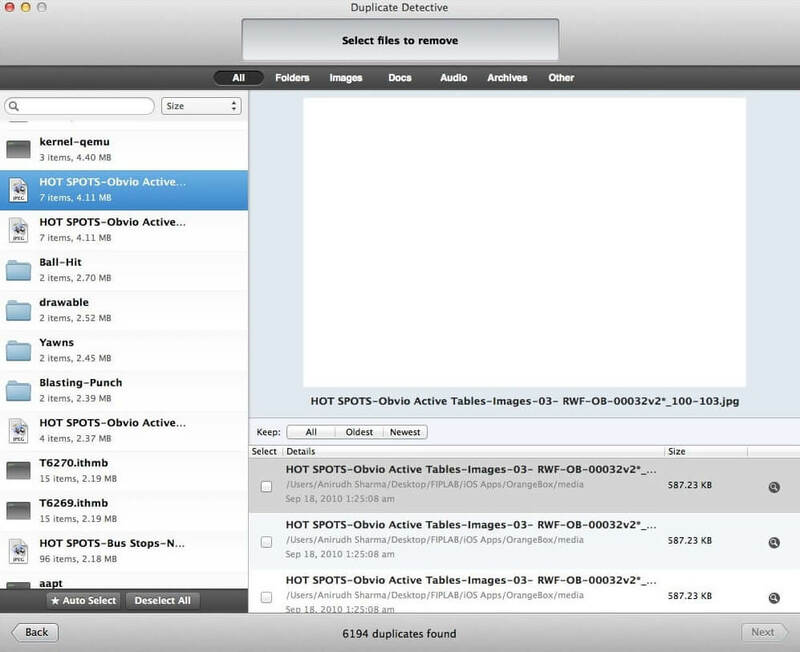 Here’s a download link for Duplicate File Remover Pro. FIPLAB Duplicate Detective can be downloaded here. How Safe Duplicate File Remover and Duplicate Detective Are? When choosing an app for duplicate removal, it is extremely important to make sure that its subsequent installation won’t endanger important personal files on your Mac. The mitigation of risk is necessary because some apps indeed contain malicious code. To address your safety concerns, let me, please, assure you that both duplicate cleaners are completely safe. In addition to coming from trustworthy developers, which is a hallmark of safety, they have been scanned with antivirus software. The scanning results showed that the apps are free from viruses; therefore, you shouldn’t be wary of using them. The uninstallation process for FIPLAB Duplicate Detective and Duplicate File Remover is no different from that for other macOS apps. All you have to do to uninstall the cleaner is to disable all app-related routines in the Activity Monitor and move it to the Trash. Note that you might be prompted to enter your administrator’s login details; therefore, make sure that you know them. Also, it is necessary to empty the Trash after the app is gone to complete the uninstallation process.